"We desperately need to extend our home but a building project freaks me out... I worry that it will cost a fortune or i'll get ripped off"
"The kids can't share a bedroom for much longer, we have no storage and I can't live with this kitchen any more"
The good news is that now there is a book that will prepare the reader to ask the right questions, make the right decisions and develop a collaborative relationship with their builder and empower them with the knowledge to make informed decisions to control the costs of their building project. NAIL IT! 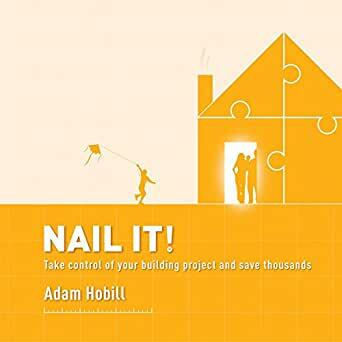 written by multi-award winning Australian building design professional, Adam Hobill, brings his experience in over 500 completed projects, including those featured in Australian House & Garden & Home Beautiful magazines. 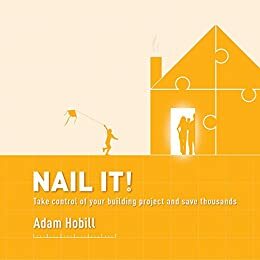 This book offers a unique perspective of what it takes to develop a strong builder/client relationship and to ensure a successfull outcome. If you are building, extending or renovating and you want to be on a level playing field with your builder then NAIL IT! is a must read. If this book saves you even a few hundred dollars it's paid for itself but mainly it gives peace of mind in knowing how the industry works.